A post chock full of Goolsbee news. 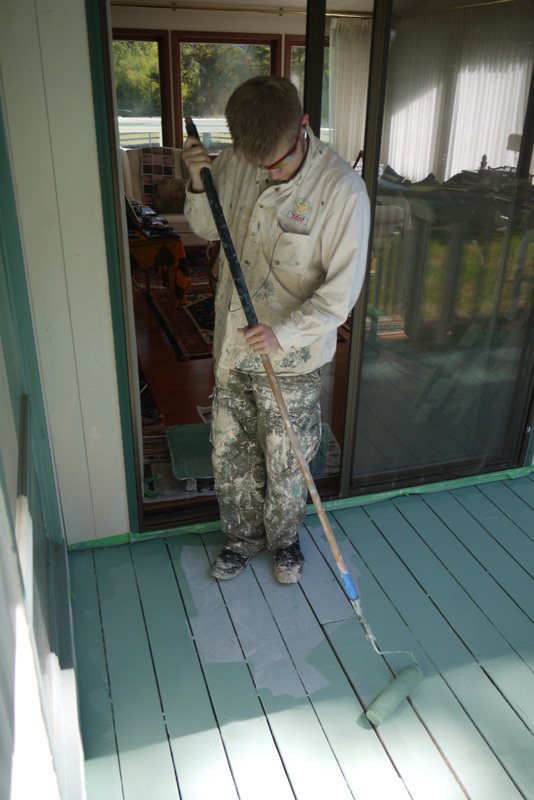 The Neverending Deck Project… reaches a temporary conclusion! The back deck of our house is now completely rebuilt. I actually put the finishing touches on it yesterday (making up for my inept carpentry with a sander, and then painting the railings.) 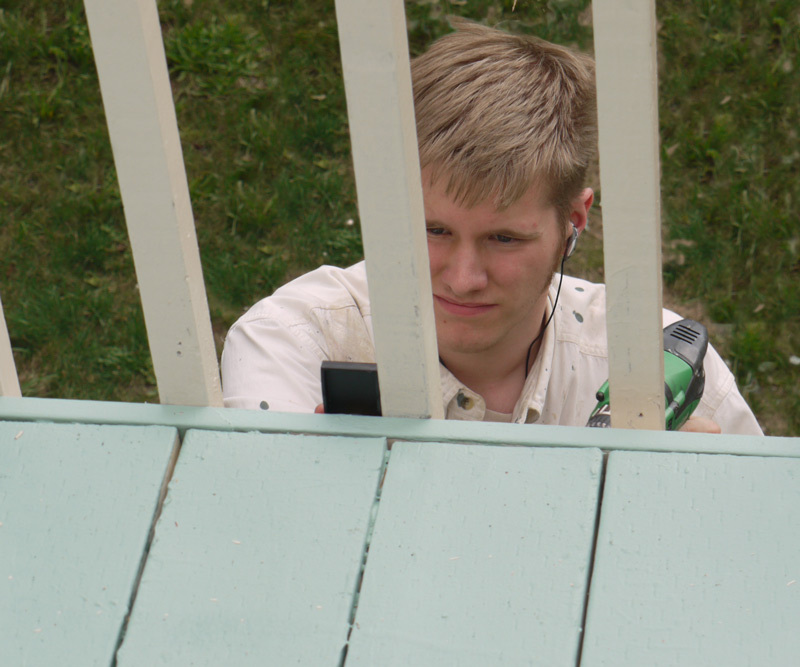 Prior to this however Christopher fulfilled his obligation to finish the majority of it by finishing the final layers of “Deckote” on the new planks and then rebuilding the railings with me. 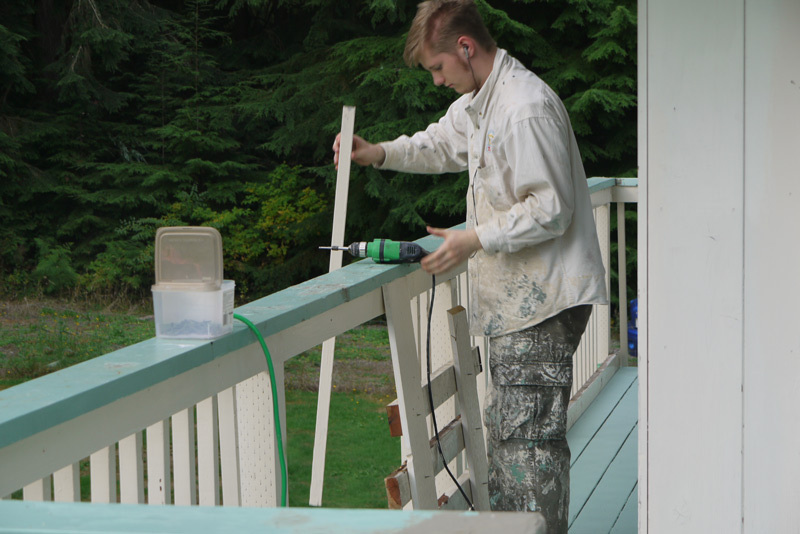 The work pictured above was actually completed earlier in September, as Chris had to return to school at Evergreen State last weekend. We packed his belongings into Sue’s car and Chris & I drove down together on Saturday, September 19th. 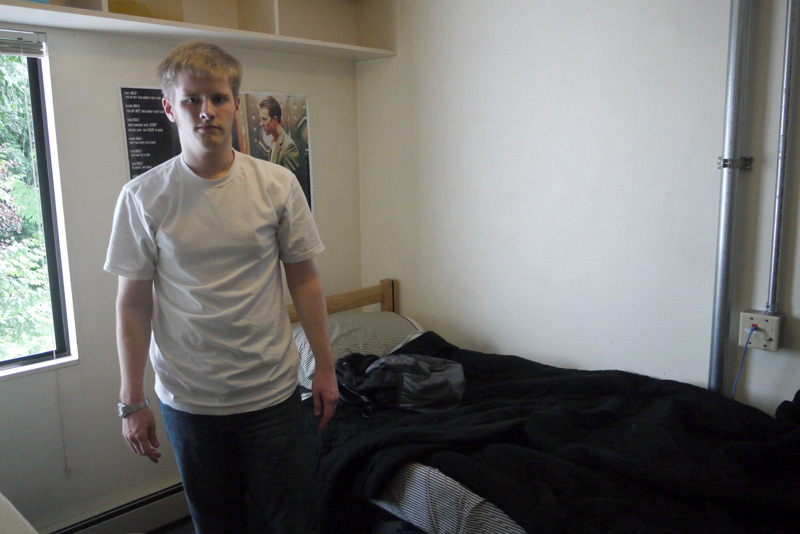 This year he chose to live in an on-campus apartment rather than the dorms. He’s sharing a unit with three other guys. 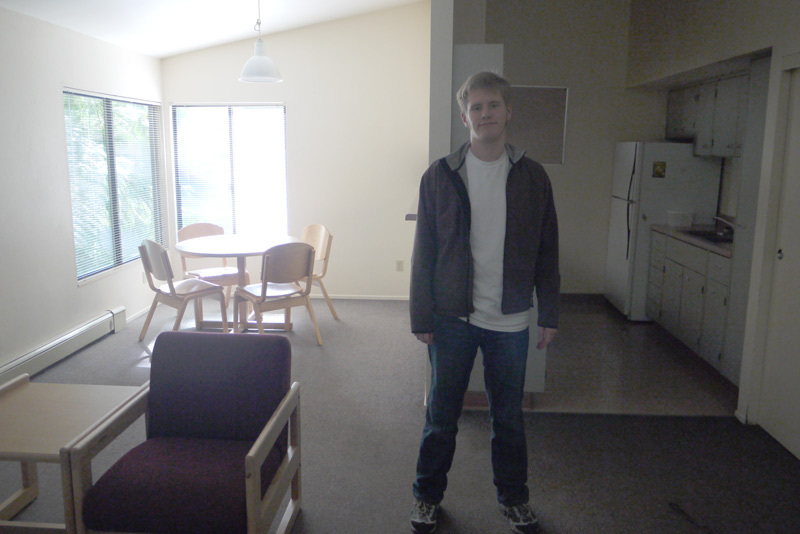 We were the first to arrive so I didn’t get to meet any of his roommates, though we’re planning on visiting him in a few weekends … mostly so his mom can see him and check out the living conditions! Until then these photos will have to do. 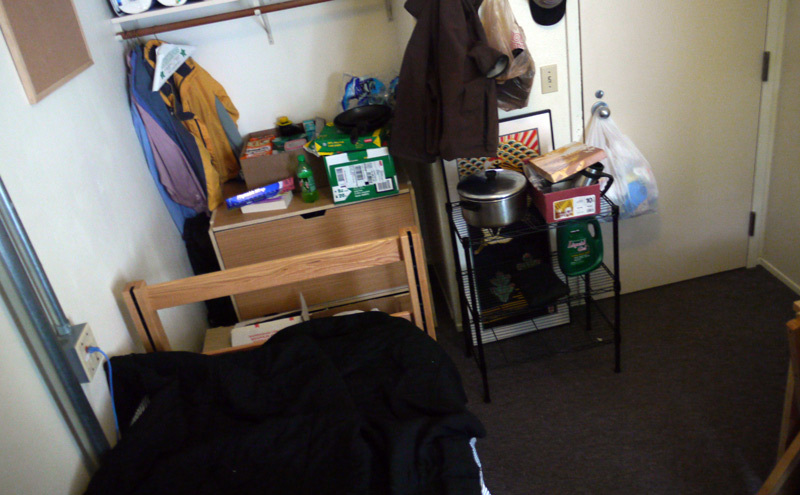 The bedroom is quite small, but the common area is pretty generous. Chris took informal cooking lessons from both Sue & I all summer to prepare for feeding himself. We’ll see how that works for him. 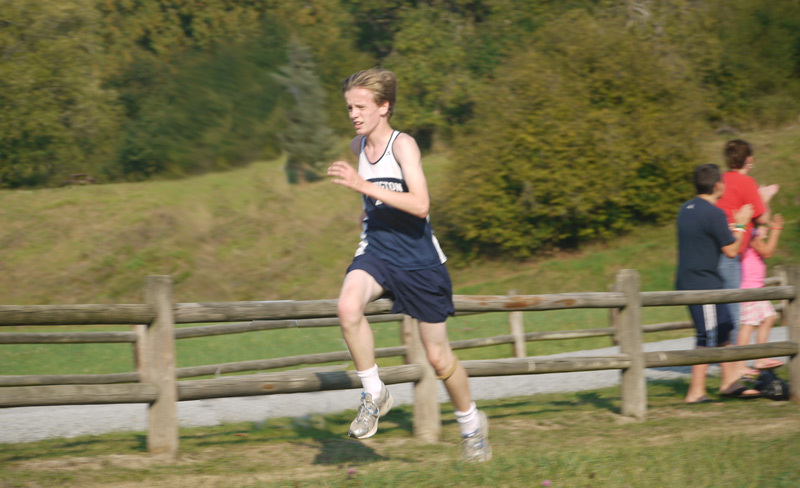 Nicholas has been running Cross-Country again this year, and has improved quite a bit. Last year he was consistently at the middle of the pack but this year, thanks to a summer of mild training, he’s finishing close to the front. 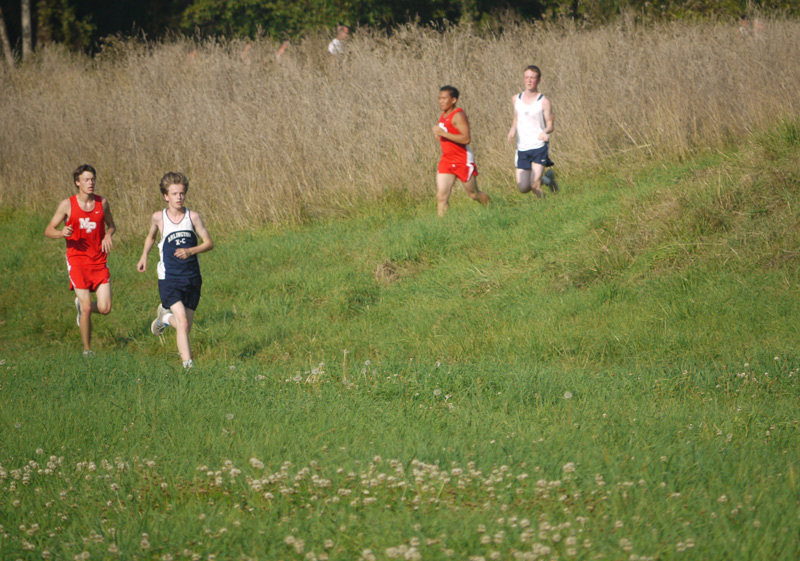 I was able to attend his first meet this year where he finished 19th in a race of 60+ boys. 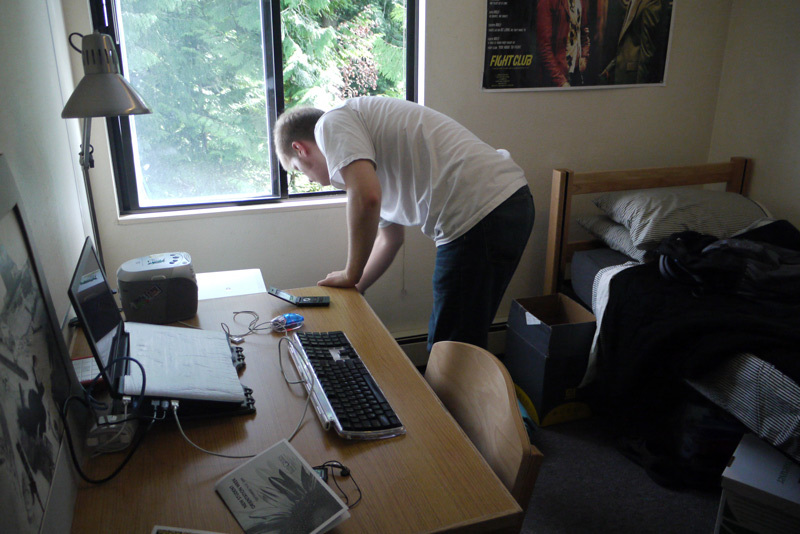 Nick also continues his musical education, and is learning a new song. 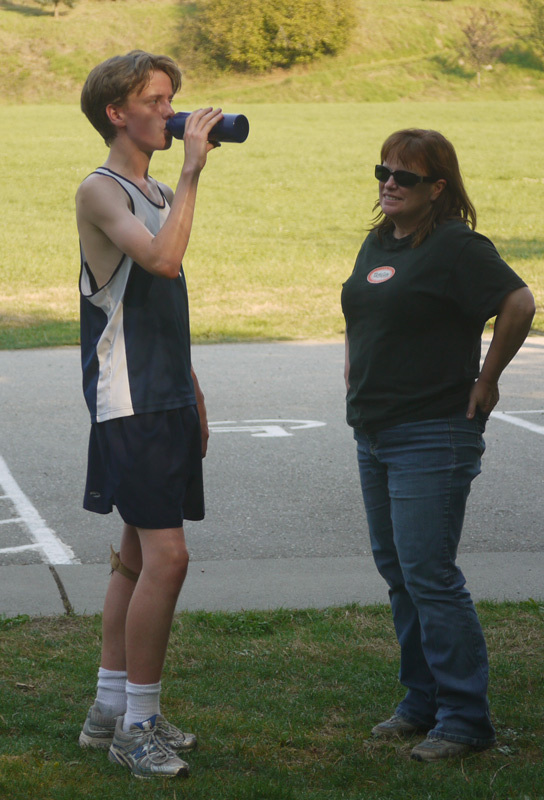 His X-C team’s “theme” for 2009, which I suspect his coach picked given the vintage of the tune. He only acquired the sheet music for it about a week ago but he’s already driving us nuts with it. I set up the digicam in the living room while I cooked dinner one night last week so you too can listen to him practice. Just play this for 20-30 minutes each night around 6 pm and you too can experience the Goolsbee house lifestyle! Can you name the tune? One of my faves” “Don’t Stop Believin'” By Journey’s amazing Steve Perry. 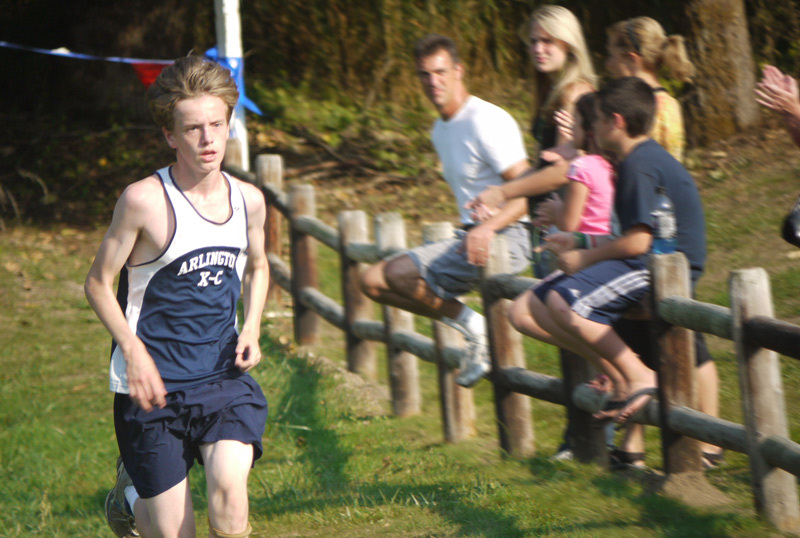 Go Nick! : I know a great bass player for ya!